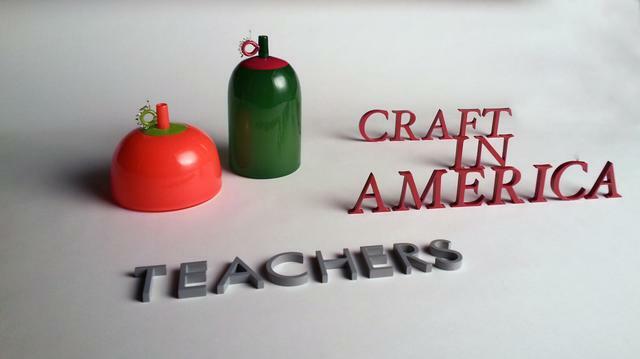 CRAFT IN AMERICA, the Peabody Award-winning series on PBS, explores America’s creative spirit through the language and traditions of the handmade, and taking the viewer to the artists, origins and techniques of American craft. 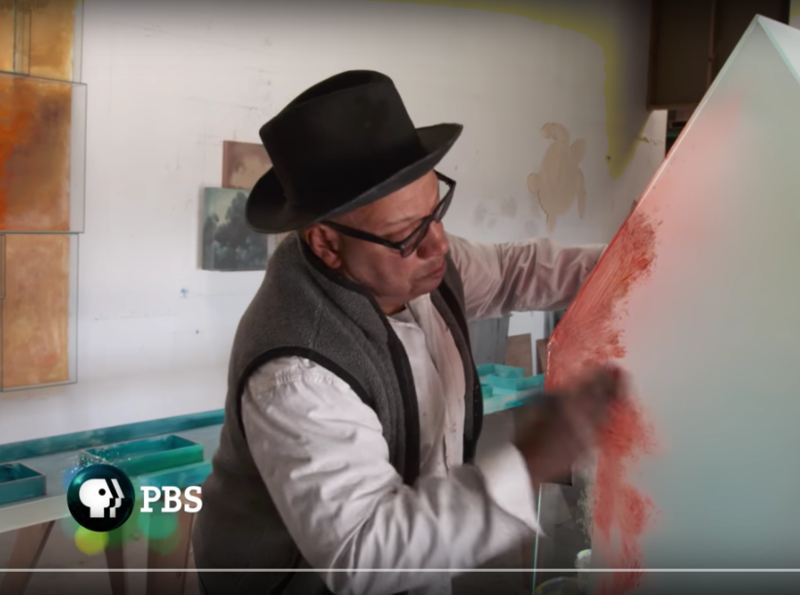 Each episode contains stories from diverse regions and cultures, blending history with living practice and exploring issues of identity, ritual, philosophy and creative expression. Let each one of us make a promise, that as long as we live, we will be good citizens of our country in the best of our capabilities and we will help America grow into a better nation with each passing day! 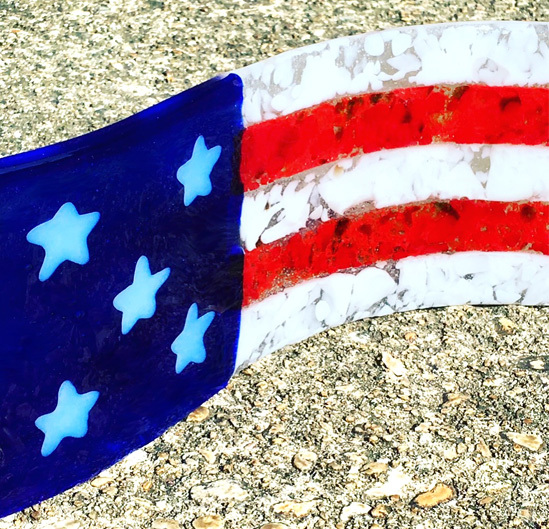 The Washington Glass School and Studio Wishes a Happy & Safe Independence Day to All! Washington DC Mayor Gray will be dedicating the new arch public artwork at the site: Corner of Hayes Street & Kenilworth Terrace, NE, Washington, DC 20019. UPDATE! Power outtages at the healthcare facility have postponed the dedication ceremony. New date for dedication ceremony:Friday, 18 July, 2014; 7-9 pm. 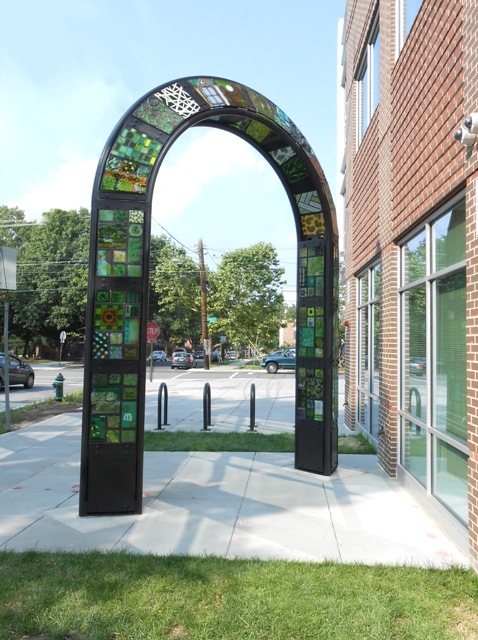 DC Ward 7 Green Community Arch sculpture located at the new Unity Healthcare Building. 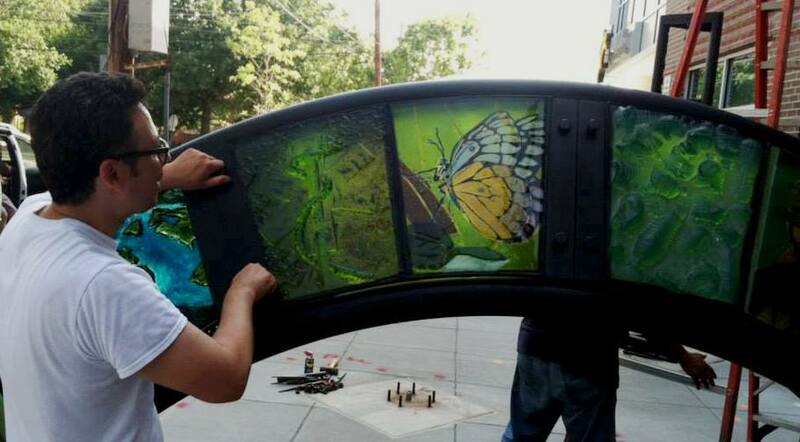 One of the Washington Glass Studio’s most ambitious public art projects has just completed installation. 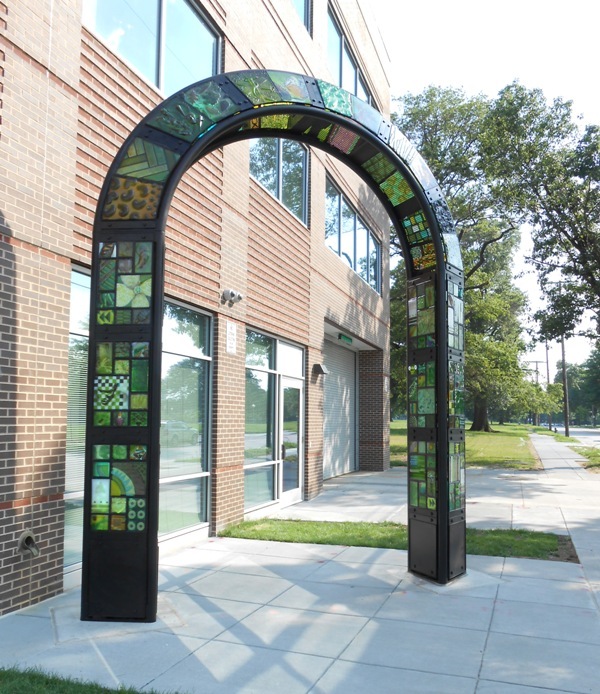 The DC Commission on the Arts & Humanities commissioned the sculpture for the new Unity Healthcare facility in Washington, DC, and the glass-and-steel artwork was installed without a problem this week. Michael Janis bolts the panels to the top of the public art sculpture before the work is hoisted into place. The public artwork concept was designed and engineered to a high level. 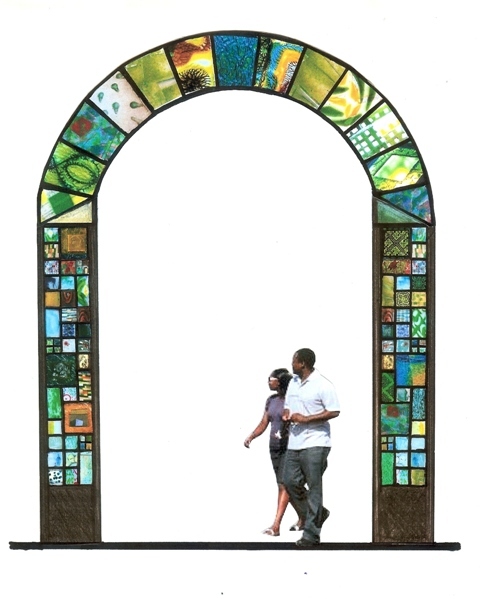 The design of the public artwork was intended to mark the symbolic entrance to the Kenilworth / Parkside section of DC’s Ward 7. This area (near Caeser Chavez charter school, the Kenilworth Aquatic Gardens and the Anacostia Freeway) was recently identified as a DC Promise neighborhood – and its experiencing a renewed investment in neighborhood revitalization. After meeting with community representatives, the WGS team focused on themes that were strongly held. A “Community Gateway Arch” became the vision for the placemaking sculpture that would help identify the new environment. The glass panel insets in the 16′ tall sculpture would be made with the help of the neighborhood residents, students of the high school, and the staff of the new Unity Healthcare facility. The Washington Glass Studio worked with the DC Creates! 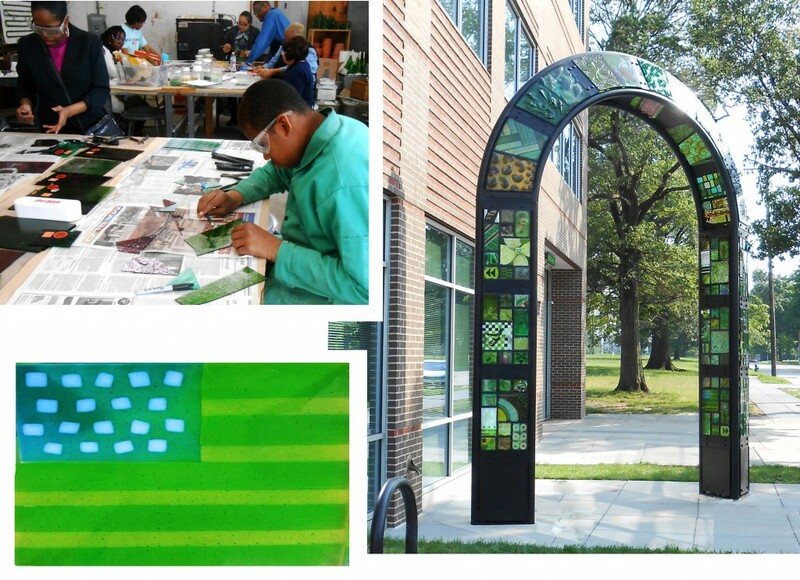 Public Art Program selection committee, the DCCAH Council, Unity Parkside Health Care, the Ward 7 ANC and the community and held a series of glass “quilting-bees” and made a communal environment where community and art were not separate. 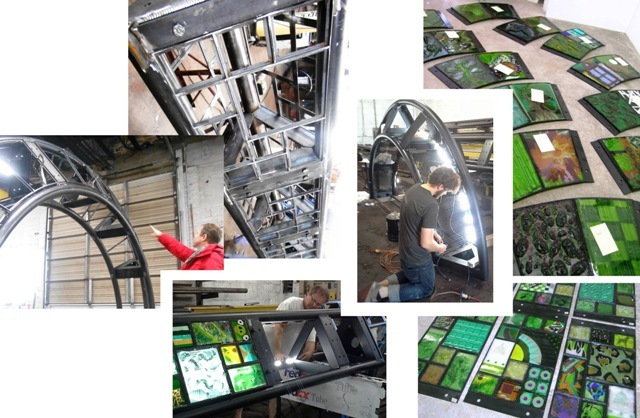 Artist Erwin Timmers oversaw the structural integration of support framework, LED lighting and glass panel insets. 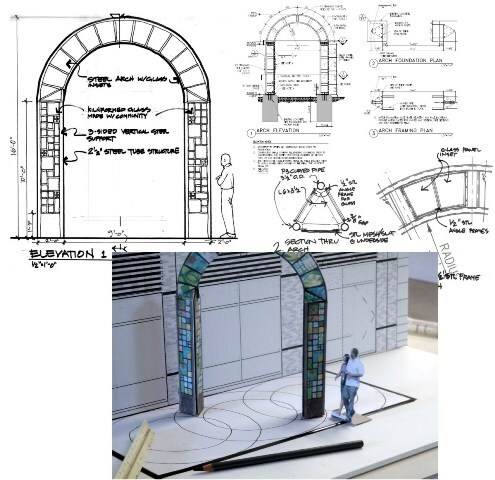 The 16′ high x 14′ wide sculpture lit internally with LED lighting was one of the largest outdoor artworks installed to date for the Washington Glass Studio, and much went into the design, engineering and the fabrication of the steel framework. In early 2014, with the structural foundation for the artwork finished and the steel framework underway, the call went out to the community to come make glass. By directly involving the public in the creation of the new landmark, the space would resonate because the artwork would have meaning to all – as everyone had the chance to tell their story. 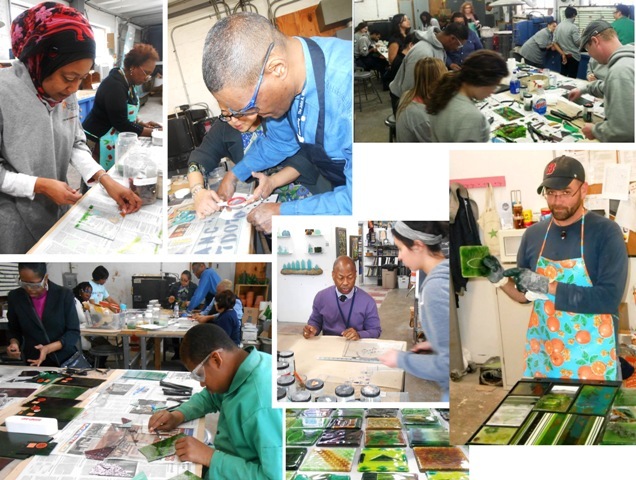 The glass workshops were packed. 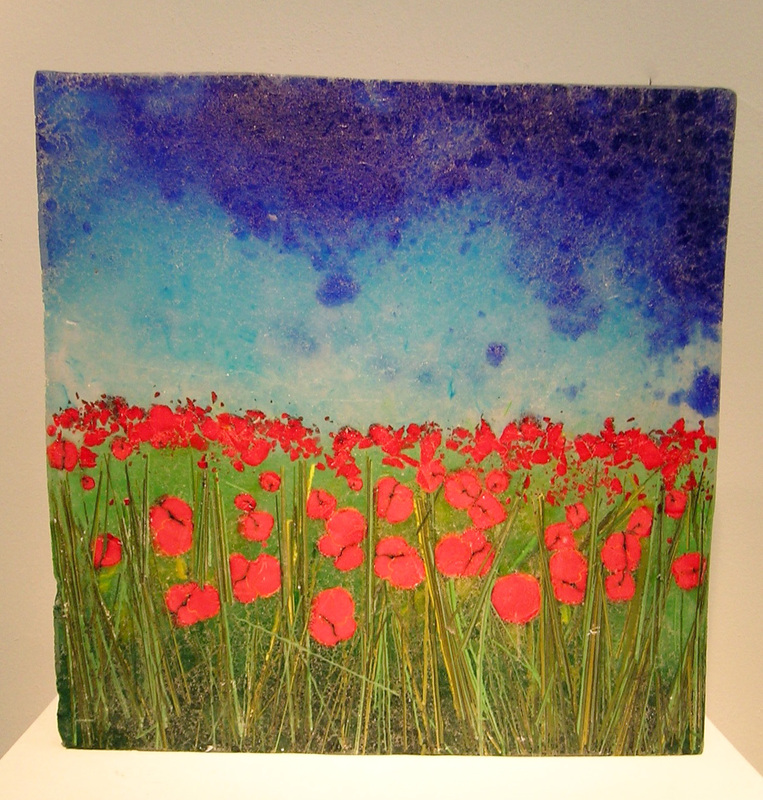 Many of the people that came to work in glass returned to each of the scheduled dates – they loved working in glass and wanted to see how the artwork changed once fired. 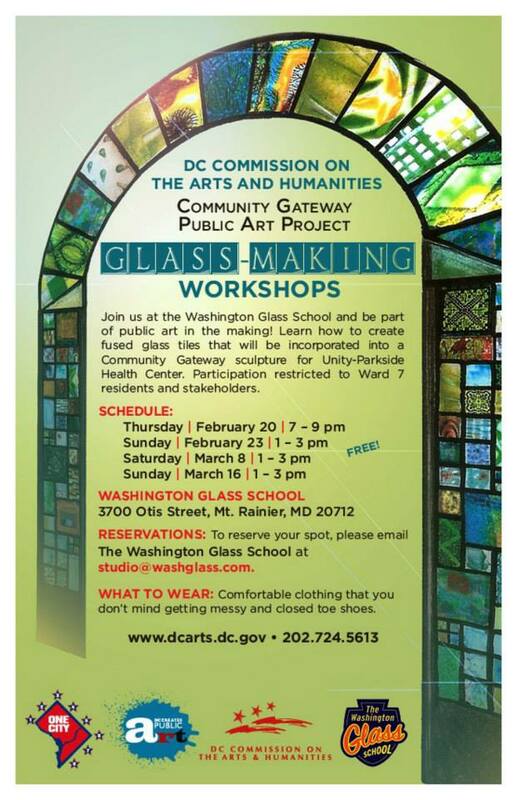 DC ANC Ward 7 Commissioner Willie H. Woods, Jr and DCCAH Exec Director Lionell Thomas were among the community enlisted to interact with the glass artwork. 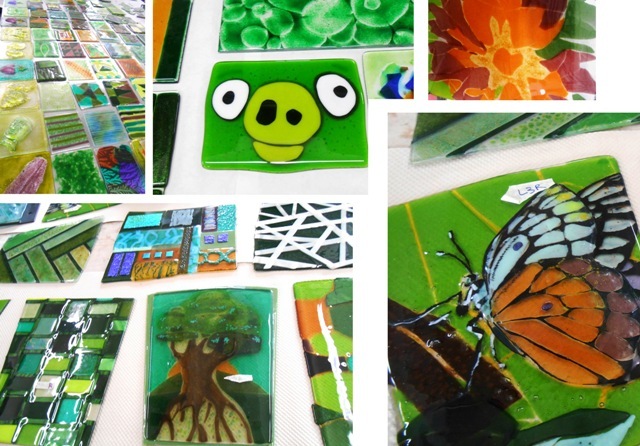 By having many area residents making the glass art insets, the sculpture has an increased sense of local identity. The artwork arch stimulates curiosity, inspired some of the budding artists to consider new artistic avenues and on occasion, create a smile. Many voices told many stories in the inset panels that made up the glass quilt archway. Opposite view of Washington, DC’s Green Community Arch. The formal opening ceremony of the Anacostia Arch with DC Mayor Gray is now being scheduled. 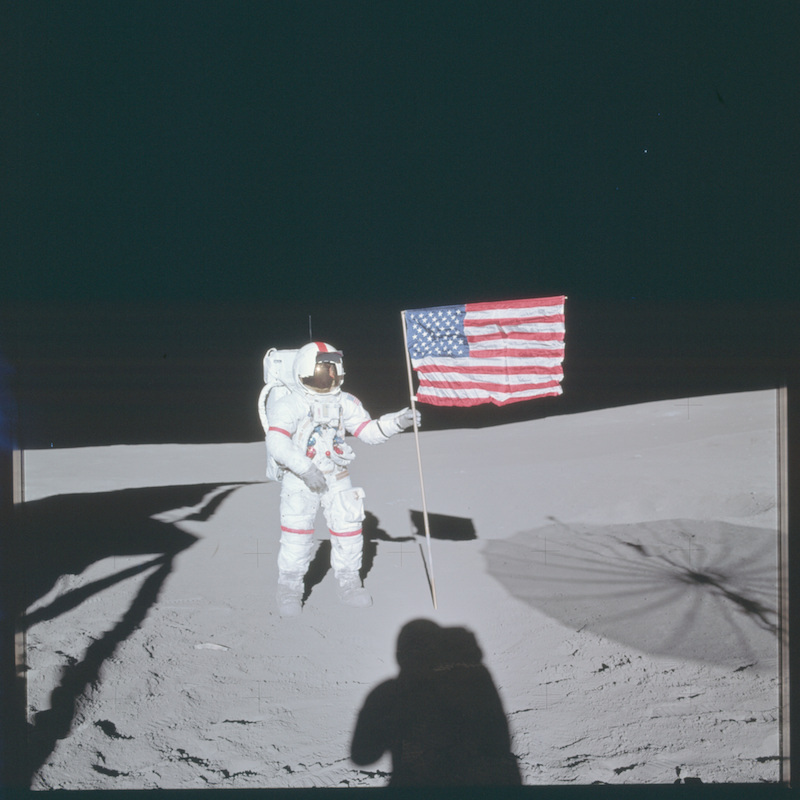 We will update on the school’s FB page and on the blog! 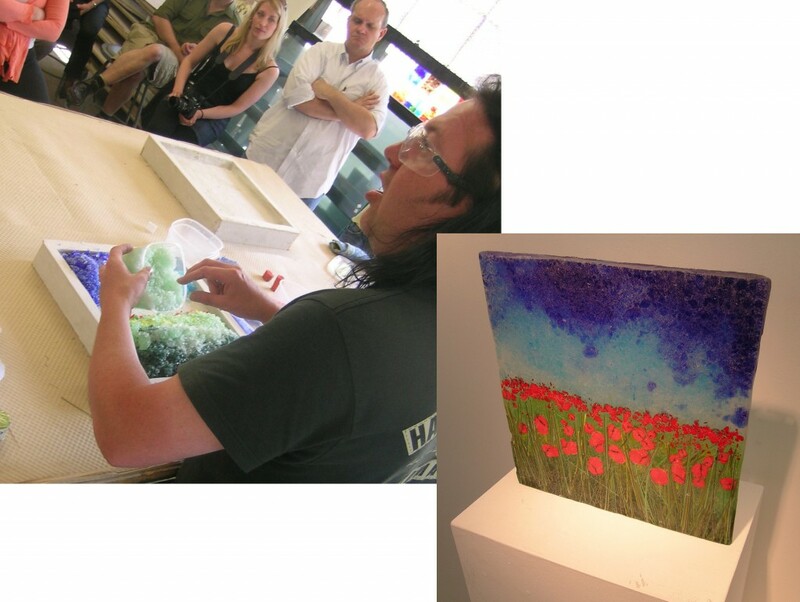 Stephen Beardsell describing his process of reverse imagery glass casting to workshop audience at the Washington Glass School, June 2009.